Even doing repetitive motions in sports and other physical activities will keep them active, so it’s best to learn how to manage them yourself at home. The figure below shows the upper trapezius muscle with the three common trigger points. 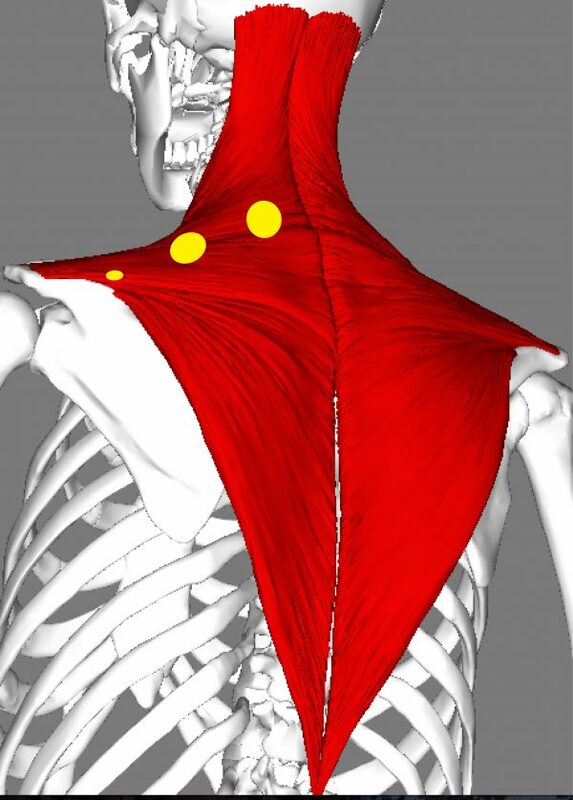 Figure 1: Rear view of the upper trapezius muscle trigger-point locations. Until now, the only way to treat your upper trapezius muscle was to go to a therapist. You don’t have to wait for treatment at your chiropractor or massage therapist office. You can do some of this at home to supplement additional professional services. Be smart about your Self-Care. If you choose to not utilize a self-massage tool and instead use your fingers to relieve trigger points, you could be putting your finger joints at risk for damage as a repetivite strain injury. Especially after middle age, degenerative processes leave the hands more vulnerable to injury, and it is well known that injury can be a precursor to arthritis. The TP BuddieRx was created to prevent that. Using the correct product to treat trigger points is invaluable. Here we describe how to release trigger points in the trapezius muscle on your left side. Pro Tip: It is good to balance out both sides by doing the same to the other side even if you only think you have trigger points on one side. Begin by running your right hand along the top of your left shoulder to feel for tight and fibrous areas of the muscle. You can follow the pain. Press where the pain is, and then press upward along the muscle fibers, and then downward along the muscle fibers. The muscle knot or trigger point should reveal itself to you and will likely be near one of the trigger-point locations shown above. Next, use your right hand to hold the TP BuddieRx on S2 with the C-curve facing you. 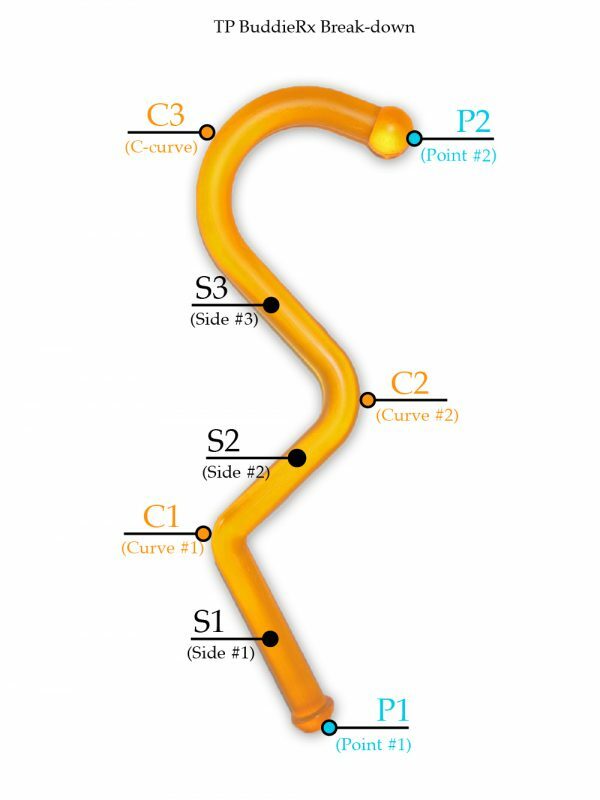 Then use your index, middle finger, and thumb of your left hand on top of the C-curve (C3) to guide Point 2 to your sore spots. Your right hand is used for generating pressure. Use a press-and-hold action to release the trigger points. Press and hold for several seconds, then let go. Repeating this action a few times should alleviate some of the pain and reduce the size of a muscle knot. It is important to stretch after relieving tight muscles. A good stretch for the left side of your trapezius muscle is to put your left arm behind you while dipping your right ear down toward your right shoulder. Paul Pudhnum is the founder of huxfit®, a resource, and creator of muscle recovery products. He is a Biochemist, a patent holder and inventor of the TP BuddieRx.